7 creative ways to bring back that sparkle in salad and make this delicious produce shine! 1. 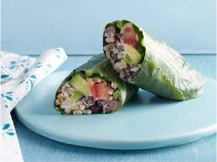 Try using collard greens in place of a burrito wrap. It’s a tougher lettuce so it will hold up nicely. The other night I sautéed tomato, onion and green pepper with grilled chicken, then placed on the collard green, folded it up and heated a few seconds in the pan. It softens nicely and received rave reviews at dinner! Despite what you may have heard, kale is still in! 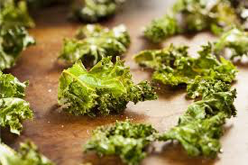 Baking times vary depending on your oven and the size of the kale leaf you’re using to make the chip. It’s so easy and delicious and can definitely replace the potato chip. Here’s a great recipe for kale chips and as noted, you can definitely change up the oil (I like extra virgin olive oil) and seasoning! 3. Add arugula to grilled cheese, along with a seasoning like Sriracha for an added kick! This will “healthy up” your sandwich and take it from bland to grand! 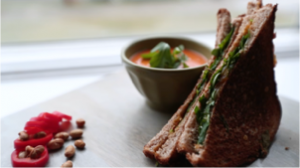 Check out this video on how to make a healthy & yummy grilled cheese. 4. 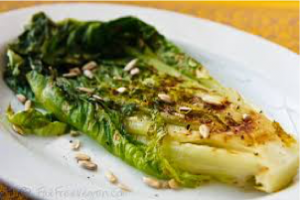 Grill a head of romaine lettuce. Yup, I said grill! You can either grill on a barbecue or use a grill pan. Use a drop of organic olive oil spray and a pinch of salt and pepper. It takes minimal time and no worries, romaine lettuce can withstand the heat! Served intact on a plate ups the ante for fancy and, of course, helps reach the AICR (American Institute for Cancer Research) recommendation of 2/3 of your plate be plant-based. 5. Throw a handful of spinach in your morning smoothie. I know you heard this one before, but seriously, try it! It’s another creative way to help you meet your veggie goals for the day! 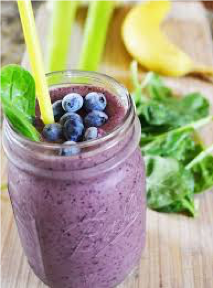 Spinach tends not to overpower the smoothie so you may not even know it’s in there! But be sure to explore beyond spinach as well! 6. 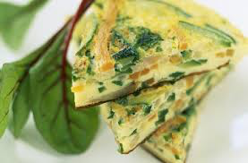 Green up your omelette! 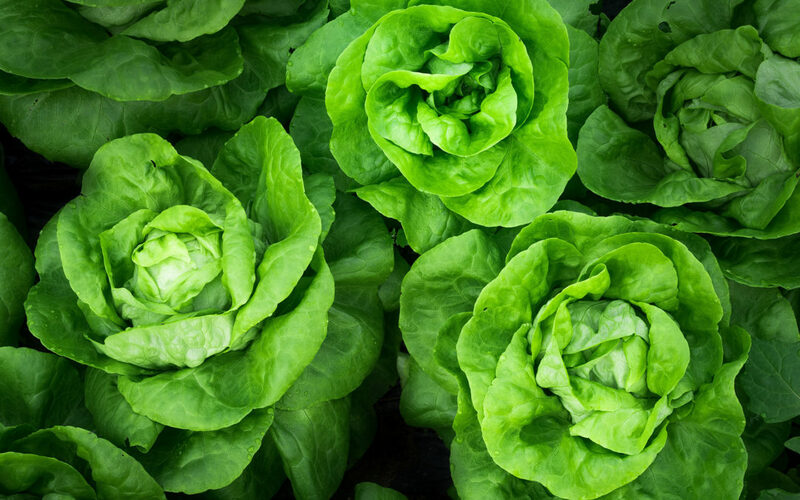 Any variety of lettuce can be used along with other veggies, herbs and cheese of your choice! 7. Turn lettuce into a sensational summer soup! 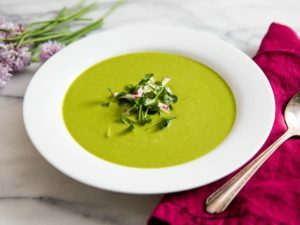 Here’s a recipe for a quick, delicious refreshing lettuce soup. Most varieties of lettuce will work (oak leaf, cress, bibb). *Note, the recipe suggests working in batches and transferring to a blender when ready to turn into soup consistency. I prefer using a hand blender directly in the pot…I’m all for simple and eliminating steps and mess!